At first glance, the differences between the two candidates for president of the United States in 2012, President Barack Obama and Governor Mitt Romney, are striking. Each candidate is doing his best to emphasise these differences. Most commentators have drawn sharp distinctions between the two candidates on foreign policy. Global perceptions of the two men are also noticeably different: most of the Western world wants Obama to win. The argument of this Analysis, however, is that when it comes to foreign policy, the similarities between the two men are more striking than the differences. President Obama is not as left-wing and dovish as many believe, and Governor Romney is not as right-wing and hawkish as he would have us believe. Americans face an important choice on 6 November. Their decision will be felt here in Australia. But the world is not at a crossroads. When it comes to foreign policy, the similarities between President Barack Obama and Republican candidate Governor Mitt Romney are more striking than their differences. Obama is not as left-wing and dovish as many believe, and Romney is not as right-wing and hawkish as he would have us believe. In particular, on issues that matter to Australia, such as the alliance, policy towards China and America’s ‘pivot’ to Asia, there are strong continuities between the two candidates. At first glance, the differences between the two candidates for president of the United States in 2012, Barack Obama and Mitt Romney, are striking. One is black; the other white. One paid off his student loans a few years ago; the other was born rich. One is cool – well, coolish; the other is definitely not cool. One made his name with a speech; the other is a master of PowerPoint. One was formerly a community organiser; the other was a management consultant and private equity executive. Each candidate is doing his best to emphasise his differences from the other. At the Democratic National Convention in Charlotte, NC, Obama said the election represented ‘a choice between two different paths for America… A choice between two fundamentally different visions for the future.’ In his own convention speech, Romney claimed that Obama has departed from ‘the bipartisan foreign policy legacy of Truman and Reagan’ and promised: ‘under my presidency we will return to it once again.’ Recent unrest in the Middle East over an anti-Islamic video has seemingly widened the divide between the two men. Global perceptions of the two men are also strikingly different. Most of the Western world seems to want Obama to win. Recent polls have found, for example, that 92 per cent of French respondents, 89 per cent of German respondents and 73 per cent of British respondents want Obama to be re-elected. Closer to home, the 2012 Lowy Institute Poll found that 80 per cent of Australians would prefer Obama to win, compared to only 9 per cent who would prefer Romney. This result was even more unbalanced than in 2008, when then-Senator Barack Obama’s margin over Republican candidate Senator John McCain was 73 per cent to 16 per cent. The argument of this Analysis, however, is that when it comes to foreign policy, the similarities between the two men are more striking than the differences. Americans face an important choice on 6 November, but when it comes to foreign policy, it is not likely to be an epochal moment. This is a very different situation from the 2008 presidential race. Obama and McCain were (and remain) a study in contrasts. They hold contrasting visions of America’s role in the world: Obama is cautious, interest-focused and disinclined toward confrontation; McCain is hawkish, impulsive and forward-leaning. Their differences – in terms of ends, means, temperaments and the global responses they elicited – were more conspicuous than their similarities. I argued in 2008 that Obama offered hope and McCain offered glory. This year, by contrast, the two candidates for president are relatively similar in foreign policy orientation. My argument rests on two assertions: that President Obama is not as left-wing and dovish as many believe, and Governor Romney is not as right-wing and hawkish as he would have us believe. On a frigid morning on 20 January 2009, I attended Barack Obama’s inauguration as president on the steps of the Capitol building. More than a million others were assembled on the National Mall to witness the event. A few hours before Obama laid his hand on Abraham Lincoln’s bible to take the oath of office, I looked up to see a bald eagle – America’s national symbol – soaring and swooping over the Capitol dome. When I pointed this out to a Republican lady standing beside me, she assured me bluntly this was no heavenly sign. She said it must have been a trained eagle that the Obama campaign had put up in the sky to attract positive media attention. I do not believe that it was a trained eagle. But in a larger sense, my interlocutor was correct. The presidential campaign run by Obama and his team was marked by discipline, effectiveness and a laser-like focus on maximising his self-interest. No wonder the Republican suspected the eagle over the Capitol was a brilliant campaign move. The same qualities have been apparent in his foreign policy. The president has governed as a cautious realist, focused principally on America’s national interests. Obama’s speeches as a candidate – from his breakthrough speech at the 2004 Democratic National Convention in Boston to his acceptance speech in Chicago’s Grant Park in November 2008 – were about hope and change. Yet, as a politician, he is a pragmatic, almost post-ideological figure. In his statements on foreign policy, he has claimed the mantle of ‘foreign policy realism,’ advocating ‘a clear-eyed view of how the world works,’ and ‘tough, thoughtful, realistic, diplomacy,’ and calling in aid not only traditional Democratic foreign policy heroes such as Franklin D. Roosevelt, Harry S. Truman, Dean Acheson and John F. Kennedy but also George F. Kennan, Brent Scowcroft, James A. Baker and George H.W. Bush. He has governed as a foreign policy realist, too. The themes of Obama’s foreign policy are not hope and change, but reasonableness and balance. As president, he has engaged with all sorts of troublesome regimes. He shook hands with Venezuelan President Hugo Chavez and pressed the ‘reset’ button on relations with Russia. He was slow to stand up for protestors on the streets of Tehran and to meet with the Dalai Lama, in order to better engage with Iran and China. He set aside the freedom agenda of the right and the human rights agenda of the left, and earned their criticism for it. During the Arab uprisings, Obama was slow to turn on America’s old ally President Hosni Mubarak, and he only did so when Mubarak was finished. However, the Obama template for projecting American power has proven different from, and superior to, the approach of George W. Bush’s administration. For the most part, it has been disciplined, focused, and led by special forces and intelligence. Take the Bin Laden raid: it was a patient, intelligence-led, lightning operation against an enemy that had done America enormous harm. It was the opposite of the Iraq operation, which was an instinctive, military-led, lingering invasion of a state that had nothing to do with the 9/11 attacks. In its own way, Libya was also the opposite of Iraq. Obama must share the credit here with European leaders, in particular Britain’s David Cameron and France’s Nicolas Sarkozy. Working together, and in sync with Arab states, NATO was able to topple the regime in Tripoli in a way that maximised Libyan ownership of the victory and minimised the risks and the costs to the West. All in all, then, Obama has been an effective foreign policy president with a surprising preparedness to use force in the pursuit of US national interests. Unusually for a Democrat, he is regarded as strong on national security, and has a ten-point opinion poll lead over Mitt Romney when it comes to foreign policy. It is harder, inevitably, to make judgments about Romney’s foreign policies were he to be elected president. He has never been a foreign policy-maker and his few interventions on the topic have not been especially impressive. Like Obama in 2008, Romney in 2012 is a foreign policy ‘puzzle.’ If we were to believe his rhetoric, then should he be elected president, the foreign policy right will be back in business. Romney has criticised Obama for being a serial apologiser, identified himself as a true believer in the freedom agenda, promised a more muscular approach toward America’s adversaries and vowed to usher in a new American Century. Why the similarities between Obama and Romney? There are at least four factors driving the convergence between the foreign policies of the two candidates. The first is the position of the United States in the world. Observers would do well not to believe all the hype about US decline. America’s US$15 trillion economy still looms over all the others. It still spends as much on its military as the rest of the world put together, and it is the only country that can project power almost anywhere on Earth. American culture is the world’s default culture. America’s opinions shape global opinions. The frailties of America’s rivals and adversaries are usually understudied. However, although both candidates dismiss the notion of US decline, there is no question the country is less powerful in relative terms than it was in the unipolar moment immediately after the end of the Cold War. Other powers are rising and Washington cannot get its own way all the time. Whoever is elected president will need to balance the historic tendency of the United States to act unilaterally against the need to work with other capitals to achieve its goals. Second, the United States has learnt lessons in the past decade that will inform its choices in the future – and would constrain any tendencies toward adventurism in a Romney administration. George W. Bush’s first-term policies, in particular the invasion of Iraq, went a long way toward discrediting unilateralism in the Washington policy-making environment. They weakened America, and emboldened her adversaries. In his second term, US foreign policy underwent a difficult shift from unilateralism to multilateralism, from a more ideological program to a more pragmatic one, from an overreliance on force to a more balanced array of approaches. This transition largely paid off, and the Obama administration has continued many of the themes of Bush’s second term. It seems unlikely that the US political system would easily accommodate a return to the foreign policies of the first Bush term. Could such lessons, learned at such great cost, now be unlearned? For example, historians in the future will wonder why the United States invaded and occupied an Arab state and squandered the sympathy it had received in much of the region as a result of the attacks on 9/11. It seems hard to believe that the US system would allow another similar mistake to be committed so soon. Third, the temperaments of Obama and Romney are surprisingly similar. Both are careful, cautious, controlling people. Obama is disciplined, deliberate and cerebral. His aides describe him as a measured problem-solver who rarely rushes to judgment. He is preternaturally calm, as summed up in his moniker, ‘no drama Obama.’ Similarly, Romney thinks with his head, not his gut. (Additionally, there are counter-examples, such as his remarkable recent speech to a function for high-rolling fundraisers, which was videotaped secretly by an attendee.) Romney’s biographers write that as young man, he ‘knew that his powers ran less to creative than analytical.’ His technocratic moderation helped him to win the governorship of Massachusetts, a famously Democratic state, but undid him in his first attempt to win the Republican nomination in 2008, and nearly undid him again last year. Even Obama’s penchant for the TelePrompter and Romney’s proclivity for PowerPoint speak to a desire for order and control. Finally, the two men’s backgrounds are not as dissimilar as they first appear. Sometimes the foreign policy styles of presidents show traces of their previous careers. Former actor Ronald Reagan liked a simple plot and a few good lines. Bill Clinton displayed a lawyer’s fondness for arguing both sides of an issue. George W. Bush, former managing partner of the Texas Rangers, believed that changing a single regime could solve the problems of the Middle East, just as a single hit can win a game of baseball. Later Romney went into private equity at Bain Capital. But even that career move revealed his marked aversion to risk. He was reluctant to make the leap to the new firm, and only accepted the job offer once he had covered off every downside – he had a guarantee that he could return to consulting if private equity didn’t work, on his previous salary, under a cover story so that no one would know he had failed. Once in the job, Romney’s decision-making style was a cautious one. When considering potential investments, his biographers note, he ‘met weekly with his young partners, pushing them for deeper analysis and more data and giving himself the final vote on whether to go forward.’ Romney’s professional background, therefore, marks him as careful, data-driven and disciplined, if a bit bloodless. Obama’s formative work experience was as a community organiser on the South Side of Chicago. Community organising and management consulting may seem at first to be worlds apart. But community organising is not a hippy affair. Community organisers are preoccupied with interests and power. Community organising is not about dropping out, it’s about organising to pursue the interests of their community. That means identifying who has the power, and engaging them. In other words, community organising is something like management consulting for poor people. The professional backgrounds of the two men, then, are not as different as they first seem. In many of the areas that matter to Australia, there are strong continuities between the two candidates’ foreign policies. One such issue is their treatment of alliances. Early in his national career, Obama was not especially alliance-focused. During his campaign for president in 2008, Obama did not always draw bright lines between allies and other states. Instead, he bracketed alliances with other, less intimate relationships, like partnerships and institutions. As the first president to come of age politically after the end of the Cold War, Obama did not seem to view alliances as special. Former ambassador to the United Nations John Bolton even charged that he had ‘a post-alliance policy.’ In office, however, President Obama has been more well-disposed toward alliances. In fact, in the Libyan case, the opposite charge is usually levelled: that he ceded too much ground to allies, by allowing Britain, France and other NATO allies to take the lead. Yet it would have been risky for the United States to lead another major military operation in the Middle East after a decade fighting two bloody wars nearby. Romney is likely to be even more focused on allies than Obama. He probably takes more of a ‘band of brothers’ approach to allies. Like McCain, he may incline toward the notion of the ‘Anglosphere’ (although that was not evident in his criticisms of the organisation of the London Olympics). If there is a difference, it may be that Obama is more willing to cede the primary position in some future operations to US allies, as he did in Libya. ‘In these situations’, he said recently, ‘we should have a bias towards operating multilaterally. Because the very process of building a coalition forces you to ask tough questions.’ Perhaps Romney would be more alliance-focused, but also more determined to take the leading role in alliance operations. But there is not a binary difference between the two, as John Bolton would claim. A better way to characterise the shift is as a ‘reweighting’ or, to use US Defense Secretary Leon Panetta’s term, a ‘rebalancing.’ Obama believes that the United States has been overly invested in the Middle East. The country took a strategic detour by invading Iraq and its global posture is out of whack, being overinvested in the Middle East and underinvested in Asia, which is where America’s greatest future challenges and opportunities lie. The elements of this reweighting, which was conceptualised most clearly in Obama’s Canberra address, include more regular attendance at meetings of the various Asian multilateral organisations, the deployment of US Marines to Darwin, increased ship visits to Singapore and closer military ties with the Philippines. There are many outstanding questions about the pivot, including America’s ability to finance it, even with the peace dividend from Afghanistan. But it makes strategic sense, so it is hard to see Romney unpicking it. If anything, he would reinforce it. To a great degree, the pivot is about China. There is an uneven quality to China’s present foreign policy: usually quiet but occasionally strident; usually cautious but occasionally combative; always prickly; never entirely predictable. Obama is still seeking to develop the bilateral relationship with China – but he is doing so from a position of strength. He seems to have found the right balance of openness and toughness. His policy is not directed at containing China – but nor is he prepared to vacate the field. He seeks to cooperate with China, but he also intends to renew America’s presence in Asia and maintain a balance of forces in the region at a time when there is significant uncertainty about China’s future behaviour. Romney’s rhetoric on China has been several notches tougher, especially on economic matters. He has promised that ‘on day one of my administration I would label China a currency manipulator,’ and threatened to impose tariff penalties on China. He has argued for a stronger US military presence in the Asia-Pacific, and he has been quicker than Obama to condemn China’s mixed human-rights record. When it appeared in May 2012 that the blind dissident Chen Guangcheng had been returned to the Chinese authorities without adequate protections, Romney called it ‘a dark day for freedoms, and… a day of shame for the Obama administration.’ However, as Michael Swaine and Oliver Palmer have argued, Romney’s China policy is for the most part narrowly drawn, ‘leaving many issues untouched and others only indirectly addressed.’ It is hard to imagine this former management consultant buying into a ‘clash of civilisations’ with China, or muscling up to Beijing in a provocative manner. A continuation of the Obama approach seems more likely. One might imagine that an Obama-Gillard axis or a Romney-Abbott axis would be a better fit than Obama-Abbott or Romney-Gillard. The truth is, however, that whichever combination of the Rubik’s Cube of political leadership clicks into place, the alliance will be secure. There is a deep alliance at work here, driven by institutionalised bureaucratic, military and intelligence cooperation, that grinds on regardless of the personalities of the political leaders at the summit. The war in Afghanistan provides another example of foreign policy convergence between the two candidates. Obama’s policy is to cease US combat operations in the summer of 2013, and withdraw nearly all troops by the end of 2014. He has lost his appetite for a full counterinsurgency strategy. He apparently no longer believes that US and other coalition forces can bring stability to Afghanistan. Romney has attacked Obama repeatedly, saying he has harmed US interests by setting these timetables for withdrawal. He is certainly more hawkish in tone. But the substance of the policy is hardly different: he has his own timetable for withdrawing most troops by the close of 2014, even if he inserts a caveat that withdrawal will only occur when the Pentagon believes the mission is complete. In any case, there would be little public support for continuing the war even if Romney wanted to. Recent polls indicate that 72 per cent of Americans oppose the war in Afghanistan, 61 per cent of Americans think the US is not winning the war, and 77 per cent want all US troops withdrawn this year. In such an environment, it is hard to imagine a President Romney ordering a second surge. When it comes to Syria, both candidates hope for the emergence of a stable Syria, not run by Bashar al-Assad, that is independent from Iranian interests. Both have called for Assad to go, and have supported sanctions against the regime in Damascus and assistance to the Syrian opposition (though they both have concerns about the professionalism and ideology of elements of that opposition). Neither has evinced any enthusiasm for direct military intervention in Syria, although Obama has warned that Damascus’s use of WMD would represent a ‘red line’ for his administration. And although Vice President Joe Biden has accused Mitt Romney of wanting to go to war with Syria and Iran, Romney has been noticeably less hawkish on Syria than his immediate predecessor as Republican candidate for president, Senator John McCain, who claimed recently that on this issue, ‘our president is not being true to our values. Relations with Iran constitute another case where the closer one looks, the less stark are the differences between the Democratic and Republican standard-bearers. President Obama started off trying to engage the mullahs, but he quickly toughened his policy. He has instituted a very tough sanctions regime, one which is, as David Sanger from The New York Times notes, ‘far more crippling to the Iranian economy than anything President Bush did between the public revelation of Iran’s nuclear enrichment facilities in 2003 and the end of Mr Bush’s term in early 2009.’ The administration has worked with Israel to run various covert and cyber campaigns to slow Iran’s nuclear program. The president has refused to rule out the use of force to interrupt the program, and he has said explicitly: ‘I do not have a policy of containment.’ Experts are divided on the circumstances in which he would go ahead with a US military strike. Romney has been critical of Obama’s approach and compared the leadership in Tehran – which he describes as ‘unalloyed evil’– to the regimes in Soviet Russia and Nazi Germany. In early 2012, Romney claimed: ‘if we re-elect Barack Obama, Iran will have a nuclear weapon. And if we elect Mitt Romney, if you elect me as the next president, they will not have a nuclear weapon.’ On the other hand, it is hard to identify how his policy is different from Obama’s. Romney argues for severe sanctions on Iran, but it is not clear how much more severe they can get, or how much more effective, given persistent ‘leakage’ from incomplete international cooperation. At the beginning of Obama’s term, there was daylight between the president’s position and that of his conservative critics; now there is little. Weighing Romney’s rhetoric, it may seem that he would be more likely than Obama to authorise a military strike against the nuclear program. Then again, the riskiness of that option stayed George Bush’s hand – and Romney is a more cautious politician than Bush. This is not to say that the foreign policies of the two candidates are identical. They are not. There are many differences between their worldviews. Differences at the centre can matter a great deal in the rest of the world, where their effects are felt – in particular in those countries directly affected by the matter in question. And the implementation of their policies would be quite different. One big difference between the two men is that the next four years would be Obama’s second term as president, but Romney’s first. Obama has grown enormously in office. He has got better at making decisions. He has learned from his mistakes, and toughened up. During his first year in office, for example, he persistently sought to accommodate Beijing’s interests and claims. This approach was reasonable, given China’s growing influence, new-found confidence and legitimate aspirations. Yet Beijing failed to clasp his outstretched hand. The Chinese pocketed his concessions and made few of their own. The men in Zhongnanhai were not impressed by Obama’s life story, his uplifting speeches or his Portuguese water dog. In response, Obama’s China policy hardened: he proceeded with arms sales to Taiwan; after many delays, he met the Dalai Lama; in his address to the Australian Parliament in November 2011, he critiqued China’s human rights record, declaring that ‘prosperity without freedom is just another form of poverty.’ The stiffening of US policy gave pause to Beijing and both sides seemed to reach a modus vivendi. If Romney were to win, he would have his own learning-curve to climb. The first months could well be difficult. He would certainly be tested. On the other hand, as a first-term president he would have an advantage over Obama. If Obama were re-elected, then two or three years into his second term, his credit would start to run out, and the eyes of Americans and world leaders would start to turn to his likely successor. Barring a spectacular failure on Romney’s part which made his re-election impossible, he would be less susceptible to the lame-duck effect than Obama would be. Another difference that should be mentioned concerns personnel. The type of people appointed by a president to the big jobs in the White House, the State Department and the Pentagon always has a very significant influence on the temper of an administration’s foreign policy. After nearly four years, we have a sense of the template Obama prefers: highly competent, disciplined and loyal policy engineers who are largely content to implement his vision rather than argue with him over it. Romney is a more protean character, so the identity of his foreign policy picks is likely to matter more. His stable of foreign policy advisers includes orthodox realists, muscular unilateralists and the occasional recalcitrant neoconservative. Exactly who he selected from that stable would be critical. As a bellwether for his administration’s direction, for example, it would be important to watch the fate of Bob Zoellick, the former World Bank president who is advising Romney on transition issues, and John Bolton, the conservative provocateur who took care to endorse Romney even after Newt Gingrich declared that Bolton should be Secretary of State. On substantive foreign policy issues, one of the largest, and oddest, differences concerns Russia, where Obama has ‘reset’ the relationship and Romney has vowed to ‘reset the reset.’ John Bolton has even mused that tensions in the relationship could ‘break the famous “reset” button beyond repair.’ Obama has made the improvement of Russian ties a priority, building a close rapport with former President Dmitry Medvedev and reaching out to Vladimir Putin after his return to the Kremlin. He has pushed for cooperation on bases and nuclear arms reduction, signing the New START Treaty in 2010, which included a 30 per cent cut to strategic nuclear warheads. By contrast, Romney has claimed that Moscow is America’s ‘number one geopolitical foe,’ a boast that must surely have offended officials in Pyongyang and Tehran. His campaign has described Russia as ‘a destabilizing force on the world stage’ that ‘needs to be tempered.’ Republicans made merry after Obama’s ‘hot-mic’ incident earlier this year, when Obama was overheard on a live microphone asking Medvedev for ‘space’ and promising greater ‘flexibility’ on missile defence negotiations after the election, and Medvedev undertook to ‘transmit this information to Vladimir.’ Relations with Russia, then, represent a clear point of difference. Obama and Romney also differ in their approach to Israel. The president’s relationship with Prime Minister Benjamin Netanyahu and his government has been scratchy, which contributed to Obama’s failure to make any headway on peace negotiations between the Israelis and Palestinians. Rightly or wrongly, Obama is seen as being cool toward Israelis; he has never visited the Jewish state as president. Romney has also been sharply critical of Obama’s approach, accusing him of being ‘a fair-weather friend’ and charging that he ‘threw Israel under the bus.’ Romney declared in his now infamous speech at the private fundraiser that the Palestinians ‘have no interest’ in peace and that the conflict is going to remain ‘an unsolved problem.’ He promised that his first foreign trip would include Israel. Obama’s response is that he has initiated ‘the closest military cooperation between our two countries in history’, (which is a stretch given that in 1973 the US military’s resupply of Israel during the Yom Kippur War in 1973 helped save Israel from defeat). Still, there is no doubt that on Obama’s watch the US and Israeli militaries and intelligence services have worked very closely on the Iran nuclear file. Finally, the issue of international trade provides a contrast between the two candidates. Obama is likely a free trader by instinct. Everything we know about him – his comfort with globalisation, his preference for multilateralism and his cerebral approach to policy – points in that direction. In 2011, the president signed long-stalled trade agreements with South Korea, Colombia and Panama. But much of the Democratic Party, including most of its congressional wing, is protectionist, having shifted ground markedly since the Clinton administration. Romney, by contrast, is a more full-blooded free-trader, and most congressional Republicans would be with him on that issue. So it seems likely that Romney would be prepared to push harder and take greater risks in the cause of free trade than Obama. President Obama and Governor Romney are very different individuals. Their rhetoric on foreign policy is worlds apart; even on substance, there are important differences on countries such as Russia and Israel. Their work experience certainly cannot be compared: Obama has proven to be a skilful and effective commander-in-chief; as is the case with most candidates for president, Romney’s experience is minimal. For all that, it is hard to discern a fundamental clash in worldviews. Americans have a foreign policy choice to make in November. Their choice will be felt here in Australia. But the world is not at a crossroads. Barack Obama, Remarks by the President at the Democratic National Convention, Charlotte, NC, The White House, Office of the Press Secretary, 6 September 2012: http://www.whitehouse.gov/the-press-office/2012/09/07/remarks-president-democratic-national-convention. Mitt Romney, Speech to the Republican National Convention, Tampa Bay, Florida, Business Insider, 30 August 2012: http://www.businessinsider.com/mitt-romney-speech-convention-republican-rnc-gop-2012-8. Gideon Rachman, If you liked George W. Bush, you’ll love Mitt Romney. Financial Times, 30 July 2012: http://www.ft.com/cms/s/0/33c08e06-d802-11e1-9980-00144feabdc0.html; Bruce W. Jentleson and Charles A. Kupchan, A dangerous mind. Foreign Policy, 30 August 2012: http://www.foreignpolicy.com/articles/2012/08/30/a_dangerous_mind_mitt_romney. See also Fareed Zakaria, Failure to launch: Why Romney’s critique of Obama’s foreign policy record will not fly. TIME, 6 August 2012: http://www.time.com/time/magazine/article/0,9171,2120500,00.html. Peter Naker disagrees: Peter Baker, Romney and Obama strain to show gap on foreign policy. The New York Times, 28 July 2012: http://www.nytimes.com/2012/07/29/us/politics/obama-and-romney-strain-to-assert-foreign-policy-differences.html?pagewanted=all. Bruce Stokes, Does the world want Romney or Obama?, CNN, 27 August 2012: http://globalpublicsquare.blogs.cnn.com/2012/08/27/does-world-want-romney-or-obama/; Pew Global Attitudes Project Pew Research Center, Global Opinion of Obama Slips, International Policies Faulted, 13 June 2012: http://www.pewglobal.org/2012/06/13/global-opinion-of-obama-slips-international-policies-faulted/; Fergus Hanson, The Lowy Institute Poll 2012: Public opinion and foreign policy. Sydney, Lowy Institute for International Policy, 2012, p 10; Fergus Hanson, The Lowy Institute Poll 2008. 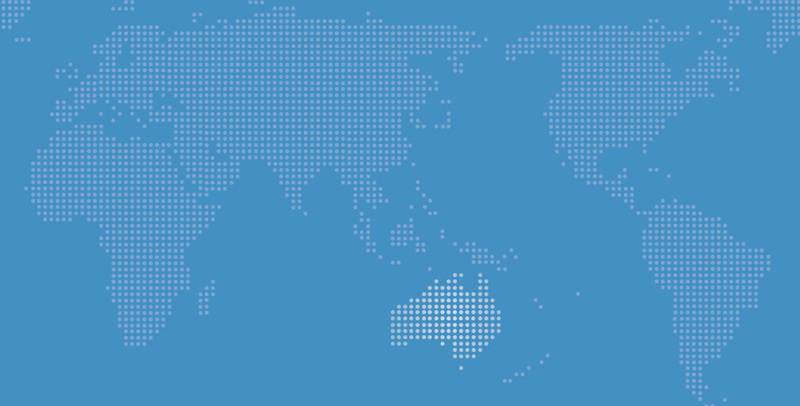 Australia and the world: Public opinion and foreign policy. Sydney, Lowy Institute for International Policy, 2008. Michael Fullilove, Hope or glory? The presidential election, US foreign policy and Australia. Lowy Institute Analysis. Sydney, Lowy Institute for International Policy, October 2008. Fullilove, Hope or glory? The presidential election, US foreign policy and Australia, pp 7-8; David Brooks, Obama admires Bush. The New York Times, 16 May 2008: http://www.nytimes.com/2008/05/16/opinion/16brooks.html?_r=0; Fareed Zakaria, Transcript. Obama interviewed; economic situation; U.S. infrastructure woes, CNN, 13 July 2008: http://transcripts.cnn.com/TRANSCRIPTS/0807/13/fzgps.01.html; Barack Obama, Barack Obama’s acceptance speech at the Democratic National Convention, Denver. The New York Times, 28 August 2008: http://www.nytimes.com/2008/08/28/us/politics/28text-obama.html?pagewanted=all; Fareed Zakaria, Obama abroad. Newsweek 152 (4) 2008. Barack Obama, Transcript: Obama’s speech against the Iraq War, NPR, 20 January 2009: http://www.npr.org/templates/story/story.php?storyId=99591469; Peter L. Bergen, Warrior in Chief. The New York Times, 28 April 2012: http://www.nytimes.com/2012/04/29/opinion/sunday/president-obama-warrior-in-chief.html?_r=5; David E. Sanger, Obama order sped up wave of cyberattacks against Iran. The New York Times, 1 June 2012: http://www.nytimes.com/2012/06/01/world/middleeast/obama-ordered-wave-of-cyberattacks-against-iran.html?_r=2&smid=tw-share; Jo Becker and Scott Shane, Secret ‘kill list’ proves a test of Obama’s principles and will. The New York Times, 29 May 2012: http://www.nytimes.com/2012/05/29/world/obamas-leadership-in-war-on-al-qaeda.html?pagewanted=all. Figures are taken from the following sources: Bureau of Investigative Journalism, Obama 2009 Pakistan strikes. 10 August 2011: http://www.thebureauinvestigates.com/2011/08/10/obama-2009-strikes/; New America Foundation, The year of the drone: an analysis of U.S. drone strikes in Pakistan, 2004-2012. October 2012: http://counterterrorism.newamerica.net/drones; Stanford International Human Rights and Conflict Resolution Clinic (Stanford Law School) and Global Justice Clinic (NYU School of Law), Living under drones: death, injury and trauma to civilians from US drone practices in Pakistan. September 2012: http://livingunderdrones.org/report/; Peter Bergen and Megan Braun, Drone is Obama's weapon of choice. CNN, 19 September 2012: http://www.cnn.com/2012/09/05/opinion/bergen-obama-drone/index.html; Predator drones and unmanned aerial vehicles (UAVs). The New York Times, 26 September 2012: http://topics.nytimes.com/top/reference/timestopics/subjects/u/unmanned_aerial_vehicles/index.html. Jeff Zeleny and Megan Thee-Brenan, Poll finds Obama is erasing Romney’s edge on economy. The New York Times, 14 September 2012: http://www.nytimes.com/2012/09/15/us/politics/obama-erases-romneys-edge-on-economy-poll-finds.html?_r=1&smid=tw-bna&bna=2644. Ben Armbruster, Romney adviser: Mitt ‘doesn’t want to really engage’ on foreign policy issues until he’s President, ThinkProgress, 14 May 2012: http://thinkprogress.org/security/2012/05/14/483510/romney-doesnt-want-to-engage-foreign-policy/?mobile=nc. Mitt Romney, Mitt Romney’s remarks on foreign policy at The Citadel, SC. The Washington Post, 7 October 2011: http://www.washingtonpost.com/politics/mitt-romneys-remarks-on-foreign-policy-at-the-citadel-sc/2011/10/07/gIQAsyyqTL_story_3.html; Romney, Speech to the Republican National Convention, Tampa Bay, Florida. For examples of Romney’s approach to decision-making, see Michael Kranish and Scott Helman, The real Romney. New York, Harper Collins, 2012, pp 6-7, 133, 137, 312. Beth Fouhy, Romney: Obama shouldn’t use OBL in campaign. Air Force Times, 1 May 2012: http://www.airforcetimes.com/news/2012/05/ap-mitt-romney-says-president-obama-shouldnt-use-osama-bin-laden-in-campaign-050112/; Ana Marie Cox, To catch a terrorist. TIME, 16 May 2009: http://www.time.com/time/specials/2007/romney_gaffes/article/0,28804,1621231_1621230_1621227,00.html. Romney, Mitt Romney’s remarks on foreign policy at The Citadel, SC. Barack Obama, Remarks by the President in State of the Union Address, The White House, Office of the Press Secretary, 24 January 2012: http://www.whitehouse.gov/the-press-office/2012/01/24/remarks-president-state-union-address; Mitt Romney, No apology: the case for American greatness. New York, St Martin’s Press, 2010, p 35. Kranish and Helman, The real Romney, p 141. Philip Rucker, Republicans mock Obama’s teleprompter use. The Washington Post, 19 October 2011: http://www.washingtonpost.com/politics/republicans-mock-obamas-teleprompter-use/2011/10/18/gIQA6hEivL_story.html; Ruth Marcus, Romney you can’t govern by powerpoint. The Washington Post, 18 May 2011: http://www.washingtonpost.com/opinions/romney-you-cant-govern-by-powerpoint/2011/05/17/AFVOS45G_story.html. Jodi Kantor, At Harvard, a Master’s in problem solving. The New York Times, 24 December 2011: http://www.nytimes.com/2011/12/25/us/politics/how-harvard-shaped-mitt-romney.html?pagewanted=all. Kranish and Helman, The real Romney, pp 6-7, 133, 137. Michael Fullilove, Obama at the UN: the world’s community organizer. In The Daily Beast, 18 September 2010: http://www.thedailybeast.com/articles/2010/09/18/obama-at-the-un-the-worlds-community-organizer.html. John R. Bolton, One world? He’s on a different planet. Los Angeles Times, 26 July 2008: http://articles.latimes.com/2008/jul/26/opinion/oe-bolton26. David Blair and Barney Henderson, Mitt Romney questions whether Britain is ready for Olympic Games. The Telegraph, 26 July 2012: http://www.telegraph.co.uk/sport/olympics/9428325/Mitt-Romney-questions-whether-Britain-is-ready-for-Olympic-Games.html. Michael Lewis, Obama’s way. Vanity Fair, March 2012: http://www.vanityfair.com/politics/2012/10/michael-lewis-profile-barack-obama. Leon E. Panetta, Speech at the Shangri-La Security Dialogue, delivered by Secretary of Defense Leon E. Panetta. 2 June 2012: http://www.defense.gov/speeches/speech.aspx?speechid=1681. Barack Obama, Remarks by President Obama to the Australian Parliament, The White House, Office of the Press Secretary, 17 November 2011: http://www.whitehouse.gov/the-press-office/2011/11/17/remarks-president-obama-australian-parliament. Bill Rigby, Romney sharpens attack on China’s economic policies. Reuters, 13 October 2011: http://www.reuters.com/article/2011/10/14/us-usa-campaign-romney-china-idUSTRE79D00E20111014. Ewen MacAskill and Tania Branigan, Romney calls US treatment of Chen Guangchen ‘dark day for freedom’. The Guardian, 3 May 2012: http://www.guardian.co.uk/world/2012/may/03/mitt-romney-cheng-guangcheng-freedom. Michael Swaine and Oliver Palmer, Understanding Romney on China. The Diplomat, 1 February 2012: http://the-diplomat.com/2012/02/01/understanding-romney-on-china/. Romney, No apology: the case for American greatness, p 293. David E. Sanger, Charting Obama’s journey to a shift on Afghanistan. The New York Times, 19 May 2012: http://www.nytimes.com/2012/05/20/us/obamas-journey-to-reshape-afghanistan-war.html?smid=pl-share&_rmoc.semityn.www; Text of Obama’s speech in Afghanistan. The New York Times, 1 May 2012: http://www.nytimes.com/2012/05/02/world/asia/text-obamas-speech-in-afghanistan.html?pagewanted=all; Micah Zenko, Obama’s Afghanistan strategy: signaling intent. In Politics, Power, and Preventive Action, 7 May 2012: http://blogs.cfr.org/zenko/2012/05/07/obamas-afghanistan-strategy-signaling-intent/. Jr. Richard A. Oppel, Romney’s critique of war policy gets a closer look. The New York Times, 17 April 2012: http://www.nytimes.com/2012/04/18/us/politics/scrutiny-of-romneys-stance-on-afghan-war-now-more-likely.html?pagewanted=all; Blake Hounshell, Romney offers politics, not a plan, on Afghanistan, CNN, 23 April 2012: http://edition.cnn.com/2012/04/23/opinion/hounshell-afghanistan-romney/index.html. Afghanistan, PollingReport.com, July 2012: http://www.pollingreport.com/afghan.htm; Deborah Charles, Americans favor limited U.S. role in Afghanistan. Reuters, 4 May 2012: http://www.reuters.com/article/2012/05/04/us-afghanistan-usa-poll-idUSBRE8431LQ20120504. Syria crisis: Obama rejects US military intervention, BBC News, 7 March 2012: http://www.bbc.co.uk/news/world-middle-east-17278802; Mark Landler, Romney calls for action on Syria, but his party is divided. The New York Times, 29 May 2012: http://www.nytimes.com/2012/05/30/world/middleeast/romney-condemns-obamas-syria-policy.html?_r=1; Romney for President, An American century: a strategy to secure America’s enduring interests and ideals; John McCain, Speech to the National Republican Convention, Tampa, Florida. The Huffington Post, 29 August 2012: http://www.huffingtonpost.com/2012/08/29/john-mccain-republican-convention-speech_n_1830053.html. Romney has said that as president he would work to ensure that elements of the Syrian opposition ‘who share our values’ could obtain the weapons they need, but he has been careful not to specify exactly what this means or who would provide the weapons. Sanger, Obama order sped up wave of cyberattacks against Iran; Barack Obama, Remarks by the President at AIPAC Policy Conference, The White House, Office of the Press Secretary, 4 March 2012: http://www.whitehouse.gov/the-press-office/2012/03/04/remarks-president-aipac-policy-conference-0; David E. Sanger, Is there a Romney doctrine? The New York Times, 12 May 2012: http://www.nytimes.com/2012/05/13/sunday-review/is-there-a-romney-doctrine.html?pagewanted=all. Chris Cillizza, Romney on Iran: “unalloyed evil”. In The Fix, 19 October 2009: http://voices.washingtonpost.com/thefix/eye-on-2012/romney-on-iran-unalloyed-evil.html. Mitt Romney, Iran: biggest threat since Soviets. In Human Events, 22 October 2009: http://www.humanevents.com/2009/10/22/iran-biggest-threat-since-soviets/. Romney position on Iran: Romney speaking at the ABCNews - WMURTV GOP Debate at St. Anselm College, New Hampshire, 2012 Republican Candidates, 2 January 2012: http://2012.republican-candidates.org/Romney/Iran.php. Sanger, Is there a Romney doctrine? ; Jennifer Epstein, White House insists Iran sanctions are working. In Politico, 31 July 2012: http://www.politico.com/politico44/2012/07/white-house-insists-iran-sanctions-are-working-130653.html; Ted Galen Carpenter, Iran sanctions leakage. In The National Interest, 23 March 2012: http://nationalinterest.org/blog/the-skeptics/iran-sanctions-leakage-6688. James Fallows, Obama, explained. The Atlantic, March 2012. Obama, Remarks by President Obama to the Australian Parliament. Emily Schultheis, John Bolton endorses Mitt Romney’s 2012 presidential run, Politico, 11 January 2012: http://www.politico.com/news/stories/0112/71357.html. Mitt Romney, Russia, Romney for President, 2012: http://www.mittromney.com/issues/russia; John R. Bolton, What to do about Syria? National Review Online, 11 June 2012: http://www.nationalreview.com/articles/302104/what-do-about-syria-john-r-bolton?pg=2. Martin S. Indyk, Kenneth G. Lieberthal and Michael E. O’Hanlon, Bending history: Barack Obama’s foreign policy. Washington, DC, The Brookings Institution, 2012, p 195. Mitt Romney: Russia is our number one geopolitical foe. Pravda, 27 March 2012: http://english.pravda.ru/news/world/27-03-2012/120899-mitt_romney_russia-0/. Pema Levy, How Romney fumbled the ‘hot mic’ opportunity. In Talking points memo, 1 April 2012: http://2012.talkingpointsmemo.com/2012/04/how-mitt-romney-fumbled-the-hot-mic-opportunity.php. Barack Obama, The audacity of hope. New York, Crown Publishers, 2006, p 309. Jim Davenport, Romney calls United Nations a ‘failure’. USA Today, 18 October 2007: http://www.usatoday.com/news/politics/2007-10-18-3780161369_x.htm. Ken Thomas, Romney: Palestinians not interested in peace. Miami Herald, 17 September 2012: http://www.miamiherald.com/2012/09/17/3007144/romney-shifts-message-to-challenge.html; Romney for President, An American century: a strategy to secure America’s enduring interests and ideals; Romney: Obama threw Israel under the bus. In Israel Hayom newsletter, 28 October 2011: http://www.israelhayom.com/site/newsletter_article.php?id=1601; Mitt Romney, Mitt Romney delivers remarks to AIPAC Policy Conference. In Mittromney.com 2012: http://www.mittromney.com/blogs/mitts-view/2012/03/mitt-romney-delivers-remarks-aipac-policy-conference; Obama, Remarks by the President in State of the Union Address; Jim Garamone, Panetta seeks to further strengthen U.S.-Israel partnership. U.S. Department of Defense, 29 July 2012: http://www.defense.gov/news/newsarticle.aspx?id=117316. Michael Barbaro, A friendship dating to 1976 resonates in 2012. The New York Times, 7 April 2012: http://www.nytimes.com/2012/04/08/us/politics/mitt-romney-and-benjamin-netanyahu-are-old-friends.html?pagewanted=all; Romney, Mitt Romney delivers remarks to AIPAC Policy Conference. Roger Runningen, Obama signs trade deals with South Korea, Panama, Colombia, Bloomberg.com, 21 October 2011: http://www.bloomberg.com/news/2011-10-21/obama-said-to-sign-deals-with-south-korea-panama-colombia-1-.html. Mitt Romney, Trade, Romney for President, 2012: http://www.mittromney.com/issues/trade.